RHP Omar Bencomo suffered his sixth loss of the season. At least 13 people left AT&T Field Saturday night with smiles on their faces. It was the annual Used Car Night for the Chattanooga Lookouts and 13 individuals had their names called as lucky recipients, but the visiting Mississippi Braves did the rest of the celebrating in front of Chattanooga’s third sellout of the season and largest crowd in the past five years. The game was close for the first seven innings, but the Braves scored four runs in their half of the eighth and that was more than enough for a 6-2 victory and the end of a three-game losing streak for Atlanta’s AA team. Mississippi improves to 22-20 in the second half and 51-61 overall to maintain third place in the Southern League’s Southern Division behind Biloxi and Pensacola. The loss snaps a three-game winning streak for the Lookouts, who are now 17-24 for the second half and 53-57 overall. The Braves couldn’t take advantage of a one-out double by Ray-Patrick Didder in the first, but they more than made up for it in the second when they scored twice. Jonathan Morales walked to lead off and scored the first run on a double to right-center by Alejandro Salazar. Chattanooga starter Anthony Marzi then got two quick outs before a bloop single by Luis Valenzuela extended the difference to 2-0. Right fielder Jaylin Davis cut the lead in half with a solo homer into the Parkridge Pavilion with two outs in the second and he hit another solo blast almost to the same spot in the fifth to knot the score at 2-2. 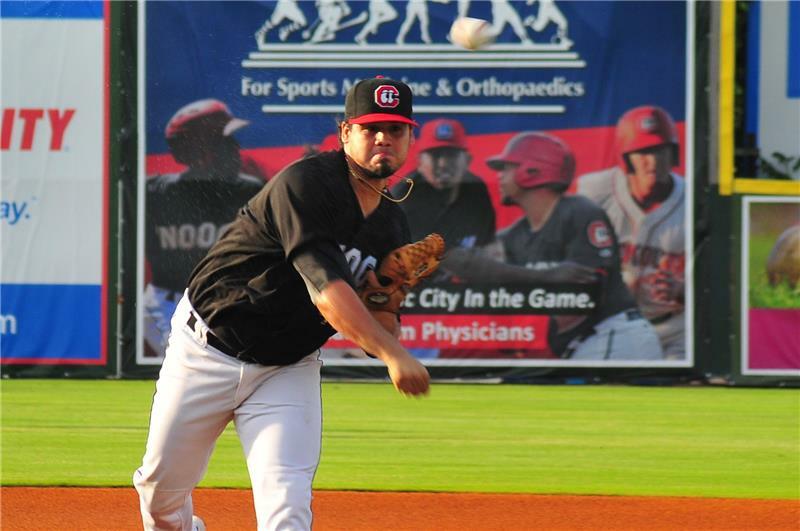 Omar Bencomo had relieved Marzi in the second and pitched really well for the next five-plus innings, but he ran into trouble in the eighth that neither he nor his teammates could overcome. Christian Pache ripped a shot into the corner in right that Davis made a valiant attempt to catch, but he couldn’t make the heroic grab as Pache reached third standing up. Didder then got hit by a pitch to put runners on first and third as Devin Smeltzer came in to relieve. Tyler Neslony’s single on a 2-2 pitch sent Pache home with the eventual winning run while a Chattanooga error two batters later allowed the fourth run to score. Then to put a little icing on the cake, Salazar ripped his second double of the game to drive in the final two runs of the game. The Lookouts had single runners on in the eighth and ninth innings, but southpaw Corbin Clouse left them stranded as the Braves hung on for the win. Mississippi starter Enderson Franco was the winning pitcher after allowing two runs on five hits in seven innings. He also had five strikeouts and walked one. Bencomo took the loss and dropped to 6-6 on the season. Neslony, Salazar and Brandon Downes all had two hits to lead the Braves while Davis finished with three, including a double in the seventh, to lead the Lookouts. These same two teams will meet again on Sunday afternoon for the fourth game of the five-game series. First pitch is set for 2:15.